MADRID (AP) — Rafael Nadal has been dropped from Spain’s Davis Cup team because of fatigue following the Australian Open. The Spanish tennis federation says it will replace Nadal with Feliciano Lopez for next weekend’s best-of-five series at Croatia after a recommendation by the team doctor. 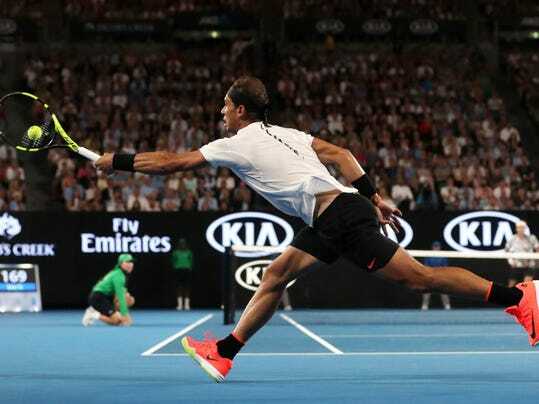 Nadal lost to Roger Federer in Sunday’s Australia Open final in five sets. Doctor Angel Ruiz Cotorro says the decision took into consideration that Nadal played a significant number of matches after a four-month layoff because of a wrist injury. The other Spanish players are Roberto Bautista, Pablo Carreno and Marc Lopez. The Oakland A’s Are Trying to Solve Their Stadium Problem. Still.